….Don’t Bother with a Lat Pull Down…. ….Leave the Low Row Cable at home…. Get this awesome bit of kit that does it all. Save on Space, Money and Time. We have been supplying and fitting these for a number of years to special order only. 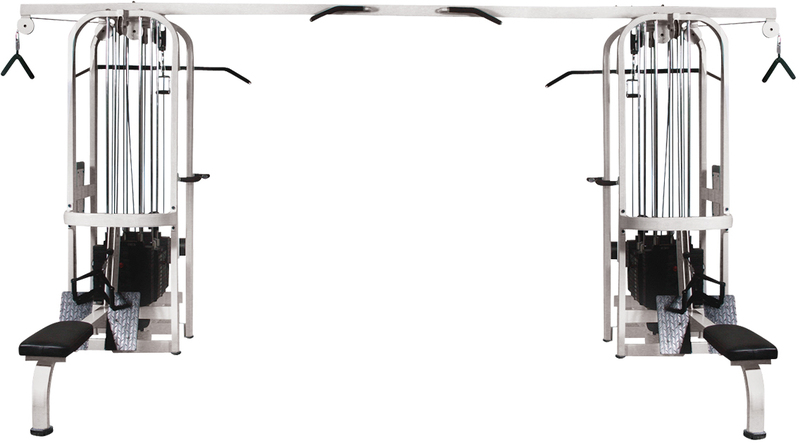 But due to ongoing interest we will soon be stocking this awesome piece of gym equipment. This will form the Centerpiece of any gym. The Jungle features 8 selectorised station including: 1 x Adjustable Crossover, 2 x Lat Pull, 2 x Low Row, 2 x High Pulley/Triceps and a Pull Up Station. The machine is super functional and relative to its footprint is super efficient on space. The machines comes with over 1/2 tonne of weights as standard, (567Kg to be precise) and we can adapt, modify and upgrade a customers see fit. We have previously kitted out the Cable Jungle with one uprated side and one standard side. In this way heavy/extreme users can use the uprated stacks while us mere mortals can gravitate the the standard duty section. Using standard stocked components we can run the stacks at 150Kg and can increase beyond this using our engineering function. The construction of the 8 Stack Cable Jungle is Heavy duty rectangular section steel. 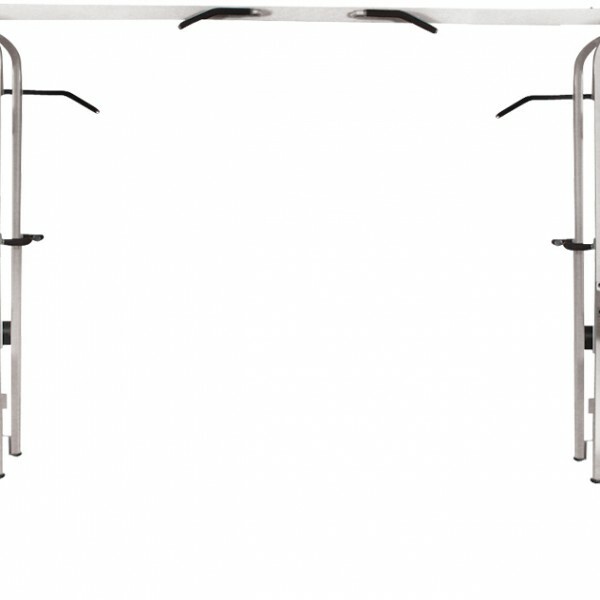 The Cable Cross Over is adjustable on both sides through a pull pin mechanism and features a Tri grip pull up station mid span. 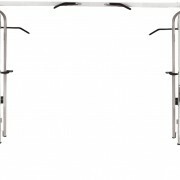 Handle grips are provided on the main frame to aloow controlled exercise. The Lat Pull Down stations both have knee braces to allow the users to lock themselves in place while the low row have long seating benches and footplate. An added feature is the back support on ythe hi pulleys which will allow used to secure themselves against the main frame and hence further isolate their triceps. 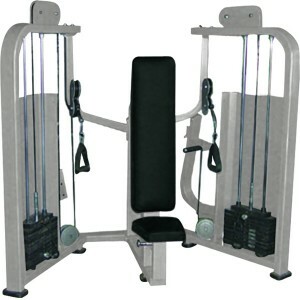 The rig allows for a huge number of excercises and the Adjustable Cable Crossover alone is designed to allow the user to work a large number of muscle groups. For each excercise employed the Muscle groups worked by the machine vary, for the most part exercises are compound and many functional resistance motions can be undertaken with the adjustable Crossover station. 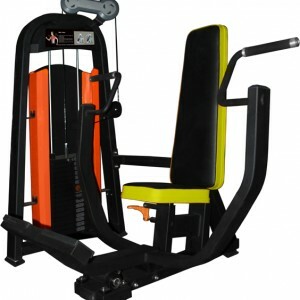 Gymwarehouse specialises in robust full commercial grade machines at extreme value Gymwarehouse trade prices. 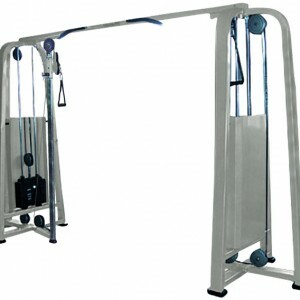 We believe we supply the best vary full commercial gym equipment at the cheapest price. Our stock machines available in White/Black Seats oe Silver/Deep Red Pads, other colours available to special order. IN.B. Our discount range of Gymwarehouse Fitness Machines are supplied partially assembled for transit, final assembly/finishing is required. We constantly strive to improve design / build so product supplied may vary slightly to image.